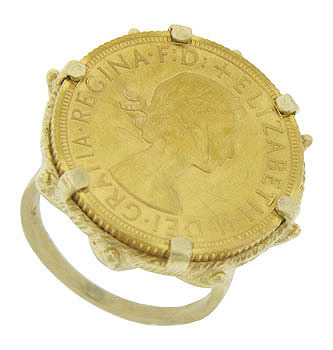 This handsome estate ring is fashioned of 14K yellow gold and features a vintage English coin commemorating the coronation of Queen Elizabeth in the year 1953. 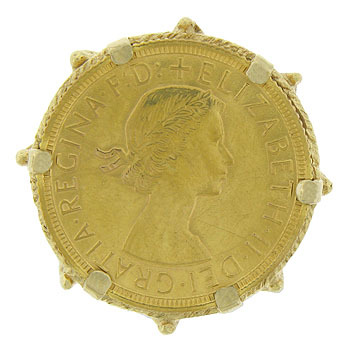 The stylish coin is scripted in Latin "Dei Gratia Regina Elizabeth II, or God Bless Regina Elizabeth II". 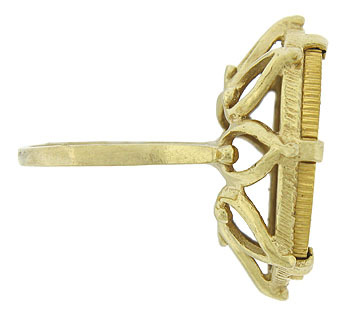 Her profile graces the center of the vintage coin. 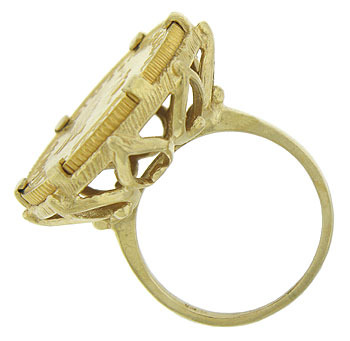 The ring measures 25.49 mm in width. Circa: 1953. Size 7 1/4. We can re-size slightly.